Headlines continue to proclaim that the U.S. economy is stronger than it’s been for nearly a decade. While that’s true for many states across the country, Wyoming faces a much harsher reality. The state is currently trying to dig its way out of a major economic slump that’s resulted in thousands of jobs being eliminated over the past three years. This is largely due to the significant downturn of the oil, coal and natural gas industries, which together account for nearly 70% of the state’s annual revenue. Fortunately, the lull in the economy hasn’t had a major impact on the state’s liquor sales. The Wyoming Liquor Distribution Division, which is part of the Wyoming Department of Revenue, reported a modest 1.24% increase in overall sales during the 2016 fiscal year, with $111.5 million in gross sales. Additionally, the Division exceeded its goal of selling one million cases of product last year, reporting a 0.94% increase. However, the Division now finds itself under additional pressure to maintain and increase sales, while likely facing additional budget cuts in the near future. As of May 2017, current fiscal year sales were down 0.84% from the previous year, and case sales were down 1.66%. Despite these challenges, the Division continues to build upon some of its most recent successes, and plans for new legislative and educational improvements that will take effect later this year. A key priority for the Division during the last fiscal year was to focus on legislation. Four committee bills ultimately passed and will take effect on July 1, 2017. Legislative development involved obtaining feedback from local licensing authorities, law enforcement agencies, various community organizations and the general public. 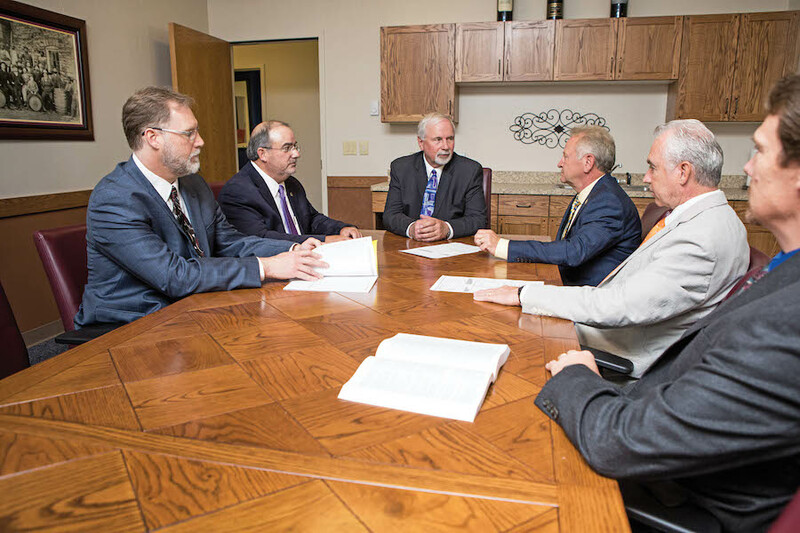 The Division also worked closely with the Wyoming State Liquor Association (WSLA) in crafting the new legislative proposals. One of the biggest changes that will occur as a result of the new laws involves stricter regulations regarding “parked” licenses. In Wyoming, local licensing authorities issue liquor licenses, and each city has a limited amount of licenses available (the total number is determined by the city’s population as calculated in a population formula by statute). Jason Allen, Tom Montoya, Dan Noble, Mike Moser, Greg Cook and Kelly Hunt. As a result, some individuals who currently have unused liquor licenses are simply holding onto them as future investments, hoping that they will appreciate over time. The current law allows permit holders to be non-operational for up to three years (the license must be renewed each year). A loophole lets licensees open a pseudo-business for a few months and then close it, automatically resetting the three-year dormancy window. As a result, certain communities have fewer business with liquor licenses than their city allows, simply because the inactive licenses are being hoarded. A new bill was created specifically to address these license renewal issues. Tom Montoya, Chief of Enforcement and Compliance Manager for the Division, says the new legislation was inspired by community members who expressed frustration that active liquor licenses were being kept out of their cities. Other new bills focus on eliminating archaic language from existing laws. One legislative session resulted in eliminating liquor licensee’s business hours of operation from state statutes entirely, passing that responsibility along to local licensing boards. Another bill removed the rule requiring a licensed establishment to have a designated dispensing room, and will now instead license buildings and locations as a whole. Additional outdated language included in the old legislation posed multiple challenges to bar owners and developers. It restricted the sale of alcohol to only designated rooms within a building. Also, it included language that technically made it illegal for people to order alcoholic drinks using a tablet system outside the designated room, which is becoming more popular in restaurants and bars. All of these laws, some of which had existed in Wyoming since the end of Prohibition, have been retooled to better fit the realities of the state’s modern environments. Together with the WSLA, the Division coordinated extensive meetings to discuss and develop proposed legislation. A total of fourteen town hall meetings were held across the state to explain the new laws to licensing authorities, retailers and community members, and get feedback and answer questions. Additional outreach through newsletters, phone calls and site visits to educate people about the new legislation is also planned. Overwhelmingly, the response to the new legislation has been extremely positive. Montoya stresses that the educational outreach about the new laws will be ongoing, as is the Division’s commitment to keep existing statutes updated and balanced. Along with focusing on informing licensees about new legislation, the Division is also working on other educational initiatives for the upcoming fiscal year. Two grants awarded by the National Alcohol Beverage Control Division (NABCA) will allow the Division to partner with the University of Wyoming on multiple initiatives focusing on alcohol awareness, training, and responsibility. The first grant is set to provide additional funding to a program originally launched by the Division in Fall 2016 in partnership with the University of Wyoming’s Alcohol Wellness, Alternatives, Research and Education (AWARE) Program. The initiative, known as Step Up!, is a bystander intervention training program designed to give students the knowledge and information needed to identify a potentially dangerous situation and prevent it from becoming worse. The second grant is also being used to develop a program in conjunction with the University of Wyoming. When the institution’s athletics department asked to start selling beer and wine at football and basketball games, the University of Wyoming’s Board of Trustees granted its permission. However, like many other organizations across the state, the university has been faced with major budget cuts over the past several years and asked the Division for help in ensuring that all the proper precautions for this new venture were in place. In response, the NABCA grant allowed the Division to purchase 24 scanners, which will be used to identify any fake IDs that individuals may present at games in an attempt to purchase alcohol illegally. An educational initiative unrelated to the two NABCA grants is Wyoming’s Training for Intervention Procedures (TIPS) program, which marks its twentieth anniversary this year. This alcohol server training program is generally offered in the form of a class run by the WSLA in conjunction with the Division. To date, more than 30,000 people throughout the state have received TIPS training–a statistic that becomes even more impressive when recognizing that the state’s largest city, Cheyenne, has a population of less than 60,000 people. In addition to its new legislative bills and educational programs, the Division also continues to hone its operational and customer service practices. It’s been five years since the agency moved into its current 145,000-square-foot warehouse space, which boasts plenty of room for product storage. Wyoming has increased its total amount of listed items to more than 2,300 products, and also offers an additional 41,000 items that are available as special orders (in fiscal year 2016, the Division processed a record number of 26,029 special orders). Additionally, Wyoming has increased the number of one-time buys available for retailers to purchase. The agency moved into its 145,000 square-foot warehouse about five years ago. New products are also a focus of the Division’s sales strategy. Like most other states across the country, Wyoming is experiencing customer demand for product variety. As individuals become more educated about different beverage categories, they request additional items. Although whiskey has long been in high demand across the state, Wyoming consumers are requesting more Canadian whisky, as well as other options. Wyoming is unique in that it offers next-day delivery service of all in-stock items to all licensees across the state. The Division also offers the option of split-casing every item that is available in the warehouse. 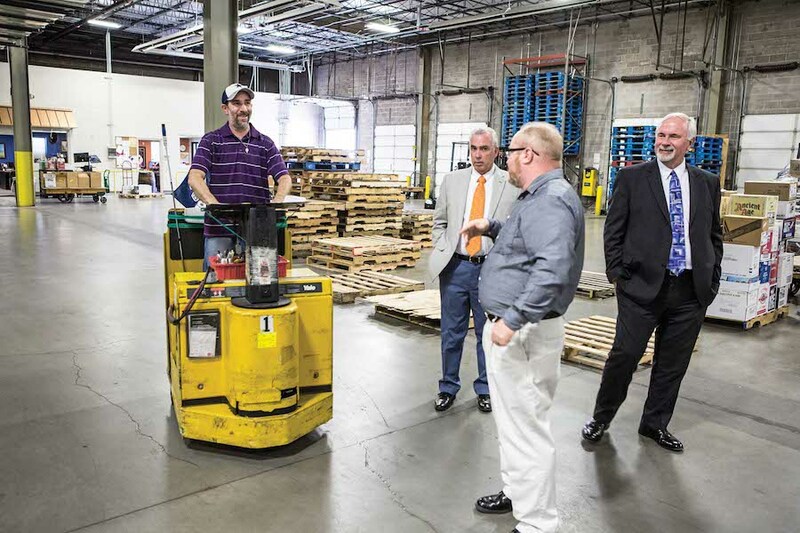 Use of a superior pick-to-voice technology system helped the state optimize overall warehouse operations over the course of the past several years, reducing the number of pickers used from 17 to five, with three employees consolidating orders. While the new system has been in place since 2012, Noble says the Division constantly seeks out ways to refine and improve its performance, and has cultivated detailed reports to help aid in product replacement and replenishment. As a result, the system boasts an accuracy rating of nearly 100%, and has the capacity to pick more than 900 bottles an hour. The Division’s record for the number of bottles picked in one day is more than 18,000. Noble says that continuous operational enhancement will remain a priority for the Division. “By constantly pushing ourselves to look for new ways to improve, we in turn keep developing new ways to make processes easier for our customers,” he says. Wyoming’s continued focus on improvement across the board, even during the state’s difficult economic times, illustrates the commitment of the entire Division to keep moving forward no matter what.